Ten of those killed were Georgians, a police statement said, and the other was a citizen of Iran. The blaze broke out at the Leogrand Hotel on Friday night, most likely in its spa center, according to local television reports. All those who perished had died after inhaling fumes, the regional health minister, Zaal Mikeladze, said. 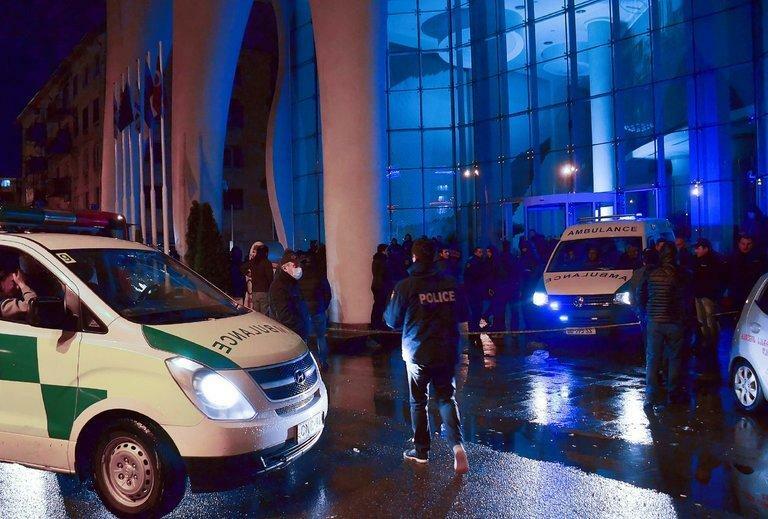 The Leogrand, a 22-story hotel that opened in 2015, had been fined for failing to comply with fire safety regulations, the deputy mayor of Batumi, Tengiz Petridze, told Rustavi 2, a news channel. The hotel was hosting the participants of a beauty pageant, Miss Georgia, at the time of the blaze. The contest was to be held elsewhere. All of the participants were safe, contest organizers said. Video footage from the scene showed firefighters using a crane to rescue people from the building. Emergency services evacuated more than 100 people from the hotel. Prime Minister Giorgi Kvirikashvili visited the scene on his way back from a summit meeting in Brussels, and promised in a statement published on the government’s website to find the causes of the fire and punish those responsible. The police said they had begun a criminal investigation into potential violation of fire safety rules. “There are many questions, and they will all be answered,” Zurab Pataradze, chairman of the regional government, told Rustavi 2.